There may be other ways to clean and remove temp files in windows PC, but here I am going to show you easiest way to clear temp, recent, prefetch and disk cleanup without using any software, this method also work with previous OS of Windows like, XP, Windows 7, Windows 8.1 and Windows 10. So let clean up your pc and laptop. 1. 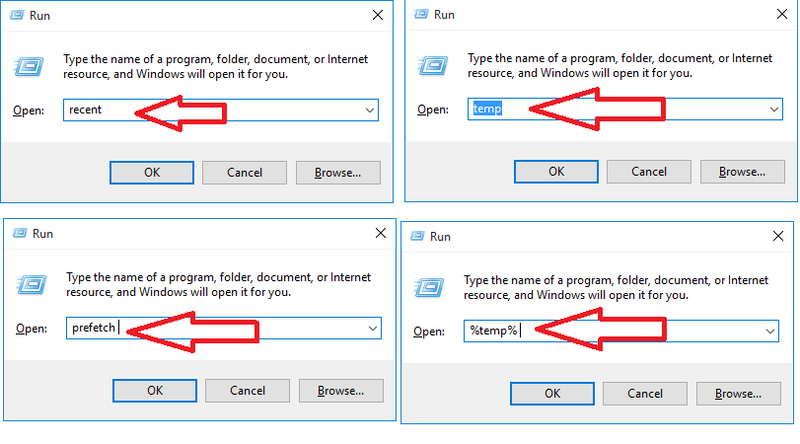 Go to “Start” type “run” hit enter, now type “recent” and hit enter, select all files and delete. 2. 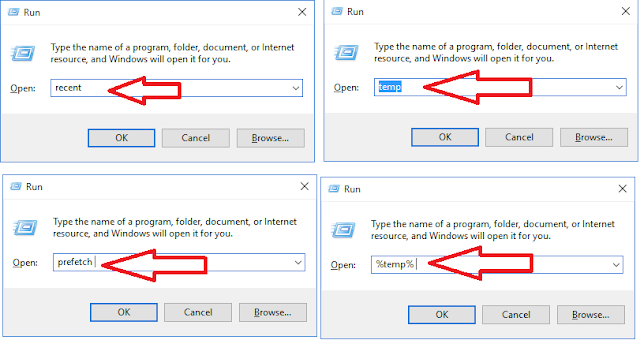 To delete temporary files, do the same, run – “temp” hit enter, select all files and delete. Now type “%temp%” in run box and delete all files. 3. Type “Prefetch” in run box and delete all files. 4. 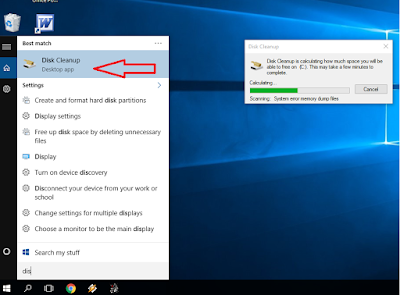 In windows start type “Disk Cleanup” select and open first option, now select and clean drives. Its better to empty recycle bin.